Congregational music-making is a vital and vibrant practice within Christian communities worldwide. It reflects, informs, and articulates convictions and concerns that are irreducibly local even as it flows along global networks. The goal of the Christian Congregational Music conference is to expand the avenues of scholarly inquiry into congregational music-making by bringing together world-class scholars and practitioners to explore the varying cultural, social, and spiritual roles music plays in the life of various Christian communities around the world. 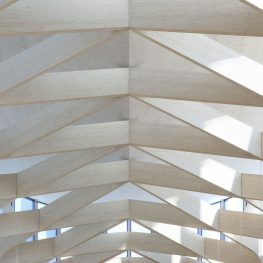 We are pleased to invite proposals for the fifth biennial conference at Ripon College in Cuddesdon, near Oxford, United Kingdom between Tuesday, July 30 and Friday, August 2, 2019. The conference will feature guest speakers, roundtables and workshops that reflect the ever-broadening scope of research and practice in Christian congregational music-making around the world. How are broader concepts of Black identity—beyond nation-state boundaries—expressed in and through worship and congregational music-making in Africa and the African Diaspora? How do new music, songs, and repertoire engage cultural identity and social issues facing Black communities in the 21st century?How is Africa and African heritage being re-imagined in diasporic congregational music? How do creole cultures navigate hybridity and innovation in worship? How is music/singing/dance used to bring marginalized bodies to the center in Black congregational contexts? What theoretical paradigms are scholars engaging or creating to move beyond issues of retentions and syncretism in their analysis of congregational music in the Black diaspora? What role(s) does the choir play relative to the congregation in differing musical contexts? What are the points of intersection, as well as divergence, between congregational and choral voices? What might a better understanding of the social, ritual, and musical dynamics of choirs contribute to our understanding of congregational music-making? How does the rise of small vocal ensembles impact choir traditions and congregational participation? What is the role of singing in the global megachurch movement? What theories of voice and vocality can help us better understand the role of human and non-human/divine voices, both individual and collective, within congregational singing? How does congregational singing relate to other practices of Christian voicing, including spoken prayers, prophecy, glossolalia, preaching, or scripture reading? How do devotional musical practices spill out beyond the congregational environment? In what ways can patterns of musical devotion in a range of different environment and situation re-shape and bring into question the congregation as an analytical category? How are worship arts ministries and choirs extending ministry outreach into communities of need? How do our musical worship practices reflect and shape a world shaped by race, gender, sexuality, (post)colonialism, migration, war, and repressive political and social regimes? What frameworks for the workings of power–whether in national politics, the orbit of church denominations or networks, or the sphere of everyday social interactions–are helpful for understanding how it operates within congregational music-making? How has congregational music been a way to celebrate difference and resist oppressive power structures, and when and how have our music and practices perpetuated them? What frameworks of thought and ontology shape musical practices in religions other than Christianity? How can we meaningfully compare musical practices between religious traditions? What shared questions might we ask as researchers of diverse religious musical traditions, and where might shared enquiry pose challenges? Notifications of acceptance have now been sent out to those presenting at the 2019 conference and conference registration is open for those presenting papers. General registration for other delegates will open on 5 April. Further instructions and information will be made available on the conference website at http://congregationalmusic.org.